MultiPanel has a high-definition graphical display and can report in 7 languages: English, Italian, German, French, Spanish, Russian and Chinese. 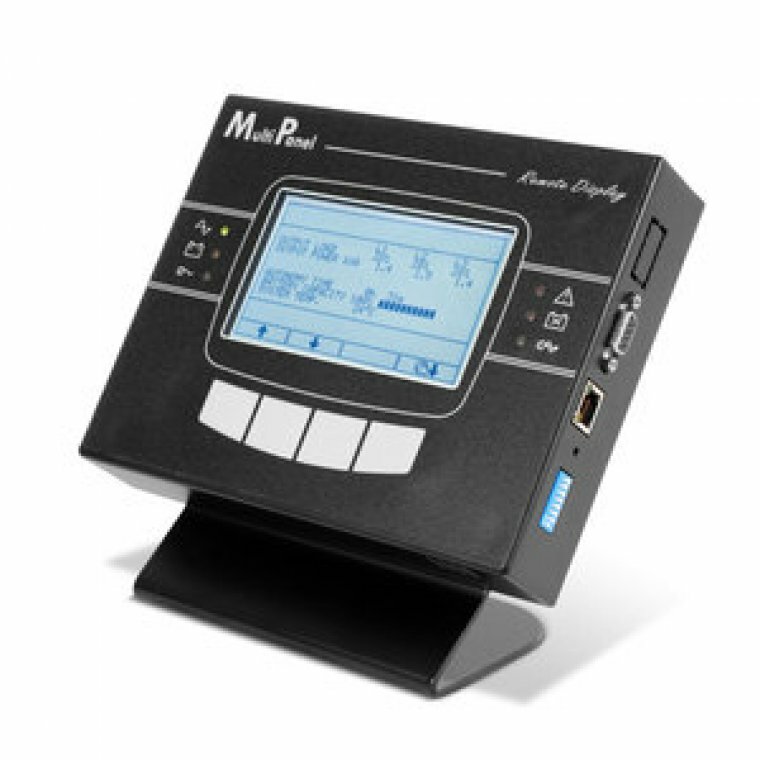 It has 3 independent serial ports, one of which allows for UPS monitoring via the MODBUS/JBUS protocol (on either an RS485 or RS232 serial line). The others can be used with devices such as the Netman 101 Plus or a PC running PowerShield³ software.